Community Impact grants make a difference throughout Monterey County. Field of interest and unrestricted funds, created by generous donors through their estates, fuel the CFMC’s competitive grantmaking programs. 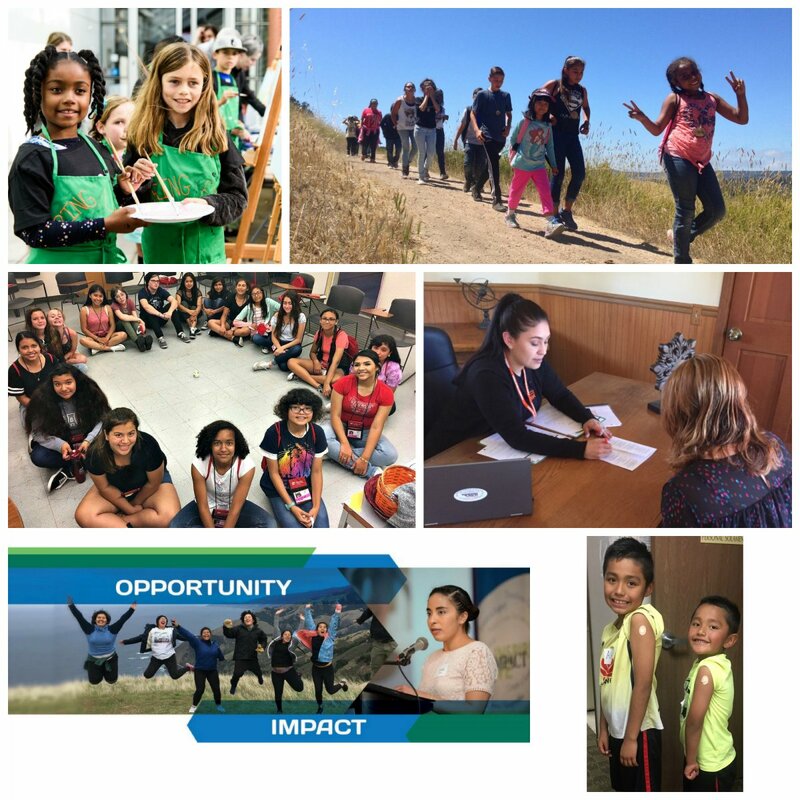 In 2017 the Community Foundation for Monterey County granted more than $2.5 million through the foundation’s competitive programs and leadership initiatives.Here are some stories behind the numbers. Here we highlight four grantees in Children & Youth, Environment, Arts, Culture & Historic Preservation, Community Development, and Health and Human Services. See all community impact grantees or learn how to apply for a 2018 Community Impact grant. 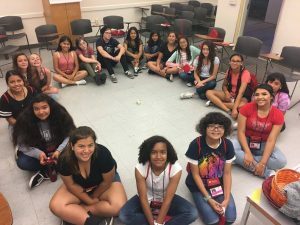 Girls Inc. of the Central Coast wants to inspire girls to be strong, smart and bold, to respect themselves and the world around them. This message is spread through programs that serve elementary, middle and high school students, challenging them to develop their leadership skills while giving them exposure to life outside their communities. The program takes place in 28 sites throughout Monterey County and reaches more than 1,000 girls each year. The organization received a $30,000 grant to support girls in Greenfield, King City and Soledad through the ECHO, Girls in Will Power/Won’t Power and Friendly PEERsuasion Programs. The goals are to counter economic insecurity, high school dropout rates, teen pregnancy, substance abuse and gang participation. More than 300 girls have a chance to focus on leadership development, goal setting, decision-making, advocacy, avoiding risky behaviors, and pursuing a college education. From whale watching, monitoring California condors and exploring tide pools in Big Sur, to scrambling in caves in Pinnacles National Park, hundreds of Monterey County youth have experienced local wildlife and open spaces. The organization received $25,000 to support its environmental education programs that not only expose children to nature, but include critical thinking, problem-solving, art and journaling to capture their experiences. Connecting youth to nature helps to create an emotional bond. For many adults, a lifelong love of nature started because they were afforded the opportunity to experience it.” – Alena Porte, Ventana Wildlife Society’s Education and Outreach Manager. Ventana Wildlife Society partners with organizations such as Salinas PAL, Marina Youth Center, Monterey County Office of Education, Rancho Cielo and Cesar Chavez Library in Salinas to reach youth that might not have access to outdoor education and natural science. This year the organization expects to reach 1,600 youth,with more than half from underserved communities attending at no cost. Art in Action engages teachers and students in creating art. The nonprofit works to provide teachers with curriculum and innovative ways to teach art, and provides students with inspiring connections to art. 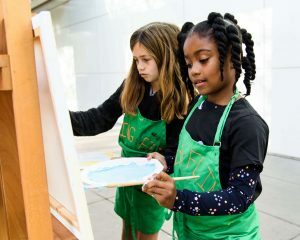 “A lack of funding, training, or commitment should not be a roadblock to turning our belief in educational equity through art into reality for ALL kids,” said Mara Grimes, Art in Action’s Development Manager. A $12,000 grant supported after-school and summer art lessons at 10 Monterey Peninsula Unified School District schools, benefiting 680 students and 18 teachers. While technology brings the world closer, there is a divide between those that have computers and those that don’t. 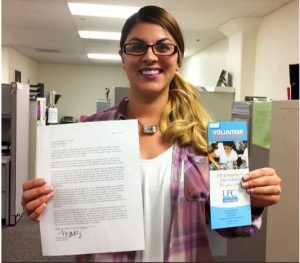 Salinas-based Loaves, Fishes & Computers (LFC) is bridging that divide by getting computers into the homes of low-income families and individuals. It provides refurbished, ready-to-use computers to help people look for jobs, advance their careers, go to school and use technology to improve their lives. A $22,000 grant provided funding to train 200 volunteers to refurbish and reuse computers, and gave free and low-cost access to technology and training to senior citizens, students, and disabled people throughout Monterey County. Leaving an abusive home can be the most difficult and bravest decision a person in crisis will ever make. Since 1982 the YWCA Monterey County has operated Monterey County’s longest-runinng confidentially located emergency shelter, providing a safe place for families to heal. A $25,000 grant supported a housing case manager for the YWCA’s Safe House program, to assist victims of domestic violence find permanent shelter and much needed resources. Each year, the program serves an average of 20 families, 87% of whom are low income. Safe House clients undergo an eight-week program that offers them three meals a day, case management, life skills workshops,transportation, counseling, legal advocacy and support navigating the social services network and judicial system. Once the program is completed, clients often need support in transitioning back into a normal and independent life, free from violence. 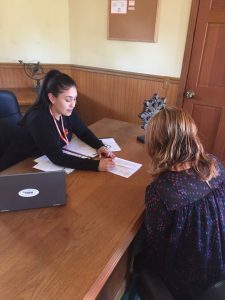 That’s the role of the transitional case manager, who is tasked with helping clients find housing, employment, childcare and other necessities to begin rebuilding their lives. 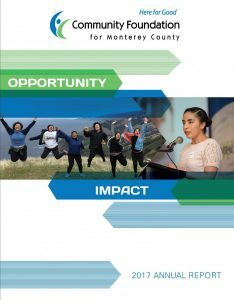 See more recent grants or rear the 2017 Annual Report for more grantees that are making an impact in Monterey County.